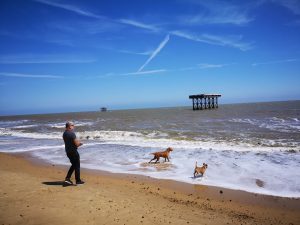 Sizewell – yes it’s next to a nuclear power station but it’s beautiful and dog friendly all year round. Here’s Bruce with Ruby and next door’s border terrier Seve (yes as in the golfer). Shingle Street – remote like Dungeness but with huge pebble dunes. Beautiful and desolate! Southwold – a gentile seaside town. Apparently some of the candy coloured seaside beach huts can sell for up to £100k. Crazy! 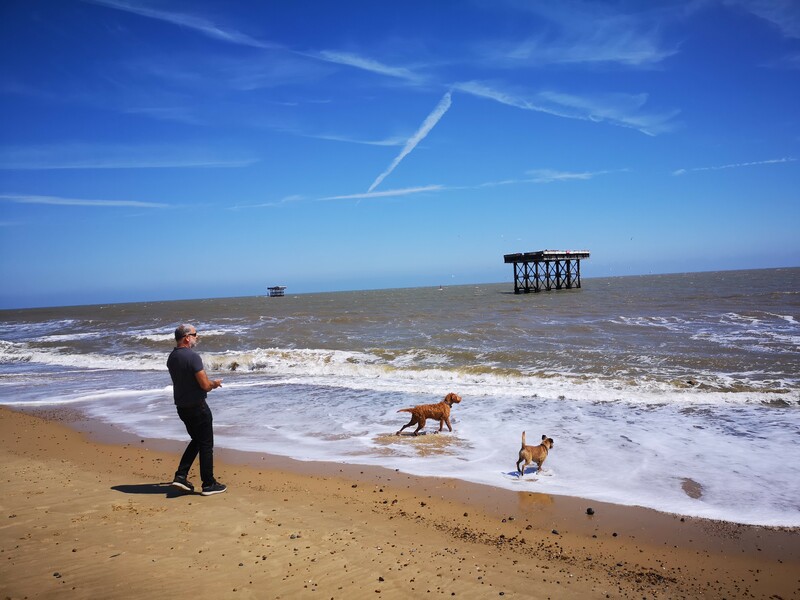 Walberswick – shallow and shandy and they like dogs! You can also go crab fishing in the inland shallows – probably not enough for a sandwich these are just tiddlers after a piece of bacon. Covehithe – a bit off the beaten track and no tourist facilities but the Times rated this amongst its top 30 secret beaches – a quiet, sandy beach running alongside a bird reserve.